抱歉，本酒店描述暂无中文版本。 Though certainly less famous than lakes like Como and Maggiore, Piedmont’s Lake Orta is no slouch in the scenery department, thanks in part to the impossibly picturesque San Giulio Island, whose Benedictine monastery lends the lake a certain aura of the supernatural. 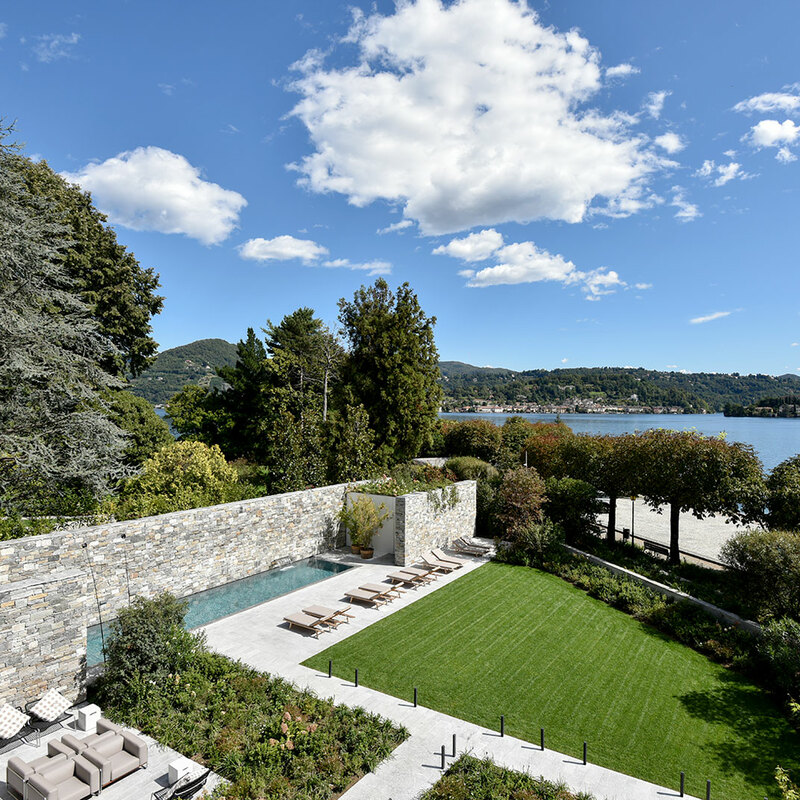 On a promontory facing the island, on the lake’s western shore, is the decidedly contemporary Casa Fantini, a boutique hotel that demonstrates the typically Italian ease with which modern design complements the remnants of history and the grandeur of nature. Casa Fantini’s proprietors know a thing or two about modern Italian design; Fantini Rubinetti is a design studio specializing in ultramodern bathroom fixtures. 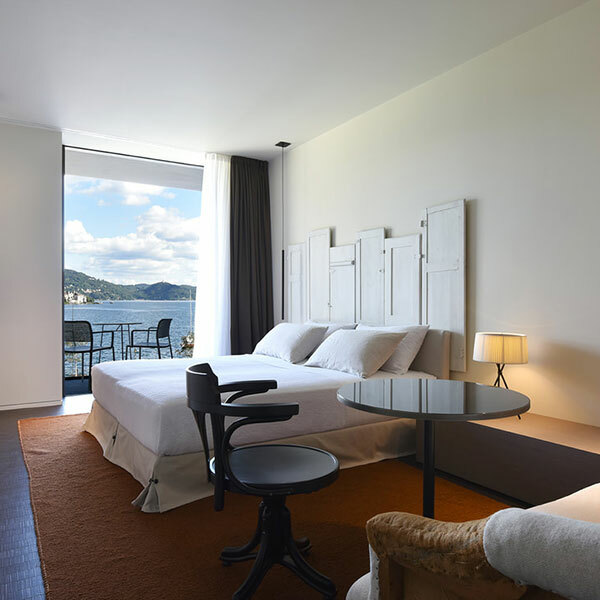 The bulk of the hotel occupies a contemporary building designed by no less a light than Piero Lissoni, the famed Milanese architect and furniture designer. 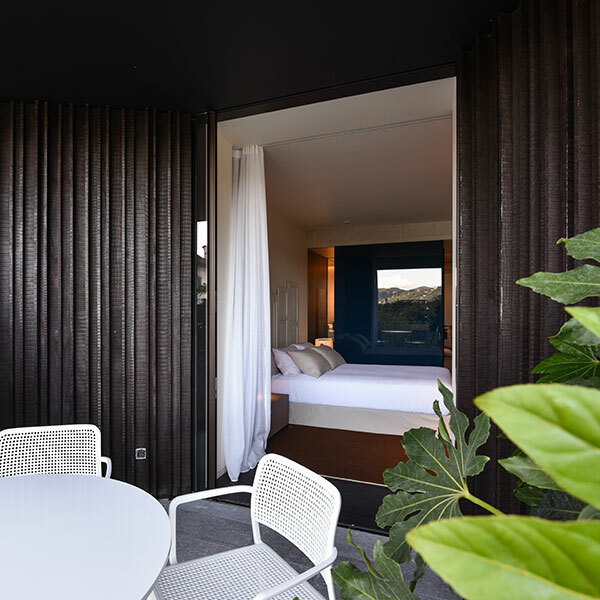 The interiors, naturally, bear his stamp as well — the nine rooms in the modern building and the two suites in its historic neighbor are impeccably composed, with sleek Lissoni furnishings and extraordinary bathrooms that serve as a showcase for Fantini’s wares.